July is shaping up to be a very hot and dry month here in Northern Nevada. Smart watering is essential now. On your designated water days, we want you to be watering between midnight and 10 AM. Water in 15 minute increments and then start your stations over to repeat the cycle. You may find that you need to get down 1-1/2" to 2" of water a week on your lawn, which may mean 30-45 minutes a station on your watering days. Do not water your lawn in the early evening. The temperature is still very warm at that time and this will create a perfect environment for fungus to grow in. Kentucky Blue grass will go semi-dormant in the heat of the summer. You will notice that when you mow that your catch bag is not very full. While your lawn may not look quite as manicured, you should mow no lower than 2-1/2 inches. Fertilizing in the heat of the summer is stressful to an already stressed lawn. 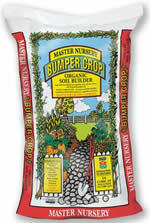 If you feel that you must fertilize, we would only recommend a mild, organic fertilizer, like Dr. Earth, that won't burn. Many customers have expressed concern regarding summer planting. We at Greenhouse Garden Center have the plants and trees protected from numerous Nevada extremes including wind, heat reflected light and low humidity. We do this by having the plants grouped and by watering most plants daily. When the plants leave here and are placed in the dry, hot, windswept ground without other plant material surrounding and offering protection, we find the many times there will be an adjustment period. Many of the plant leaves might crisp if not watered daily in the first week. Water slowly, and make sure that you get water into the root ball. Planting deep or making big rings or expecting the water sprinklers to water deep enough may not be enough. On trees, many of the inner leaves will yellow within two weeks and fall off soon after. Some leaves might look torn, ragged or burnt on the edges. If you are diligent about monthly watering this winter, next year you will have all of the leaves back and your trees and shrubs will be more resistant to weather conditions in your landscape. Shrubs with tiny leaves - such as Barberry, Potentilla, and Spiraea - can dry up in the "blink of an eye" if you are not careful. Stripping off these damaged leaves and watering every other day will offer you a healthy plant again in two or three weeks. B-1 to prevent transplant shock, organic fertilizers and mulching new plant material are all recommended for hot summer time planting. By following these common sense instructions you should not have any fear of summer planting. Are you looking for something unusual, reflecting your inner child, and colorful for your yard? Responsibly sourced fair-trade importers have brought us recycled metal repurposed into everything fun in yard art. Finally we have done it - and now have our own signature tote bag made of study canvas. It features beautiful botanical pictures with useful garden tips. It looks so nice you could take it anywhere. Born in Lucca Italy, Enzo was a child survivor of World War II. He left from the port of Genova, Italy in 1953 by ship and entered America through Ellis Island. Now a proud American citizen, Enzo is a self taught builder/contractor who worked the trades for 50 years. Now retired and living in beautiful Northern Nevada Enzo has been creating amazing birdhouses for us. We have added to our Mixture Hand-Poured Soy Candles with some amazing new ones - designed to create a mood, stir a memory or just simply to relax. Reapply Biodefend Snake Repellent With Extendex or Liquid Fence Snake Repellent at the beginning of the month. Both products are environmentally safe, easy to use, long lasting, and will not harm lawns or vegetation. Boxelder bugs (black with an orange X on the back) love to eat the seeds of boxelders, silver maples, and other soft-wood maples. These pests can be controlled now by spraying with Sevin. Use Florel in the spring, when the trees are blooming, to prevent seed germination. In a medium bowl, blend vegetable oil, soy sauce, light corn syrup, lemon juice, sesame seeds, garlic powder, and garlic salt. Place chicken in the mixture. Preheat an outdoor grill for medium heat, and lightly oil the grate. Thread chicken onto skewers alternately with mushrooms, onions, and green bell pepper. Pour marinade into a saucepan, and bring to a boil. Cook for 5 to 10 minutes. Place skewers on the prepared grill. Cook 15 to 20 minutes, turning frequently, until chicken is no longer pink and juices run clear. Baste with the boiled marinade frequently during the last 10 minutes. Note: This marinade also works very well with pork.